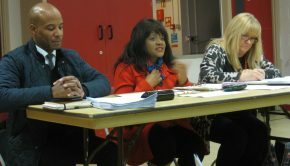 The first Handsworth Wood ward meeting since the May elections brought no respite from the challenges facing local government and local communities. There were good contributions from Council Officers, the Police and the Fire Service, and news of a couple of initiatives with potential to address concerns over houses in multiple occupation (HMO’s) and obstructive parking, but all against the backdrop of ever dwindling resources. 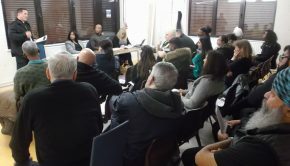 Surprisingly, there was no discussion from the floor of the Council’s proposals for devolved control (consultation closes on 28th Sept. – click on ‘WorkingTogether’) – Councillor Sharon Thompson had been invited for this but couldn’t attend. There was much from the police though on the ‘working together’ theme. 1. Houses in Multiple Occupation: Matthew Smith attended from the Council’s Private Housing Team which deals with HMO’s and the private rented sector. He described how the private rented sector in Birmingham had increased from 20% of total housing stock in 2011 to now a probable 30%, while his team has dwindled to the point where there are currently just 4 officers to deal with the issues arising from over 80,000 properties. One source of difficulties they can’t address is what he described as the ‘runaway train’ of supported housing: landlords who receive high levels of payment to provide ‘support’ to vulnerable residents, but who in many cases fail to provide that support, leading to negative impacts on quality of life for neighbours. Supported housing is dealt with by central government’s Homes and Communities Agency, meaning that rogue providers are rendered almost ‘untouchable’ by local government. The only grounds for action are if residents in the property themselves raise concerns about standards – but often their vulnerability to retaliation prevents them doing this. This is surely a high priority for the lobbying of our MP which many were calling for at the end of the meeting. The Council have mounted successul prosecutions against irresponsible landlords (a minority of landlords across the city), with fines going as high as £180,000 in one case, and in other situations have worked with landlords to improve practice. A successful bid has been made to the ‘Controlling Migration Fund’ to pay for extra staff to work in the Handsworth Wood area. They will visit the properties which have already been reported as being of concern and work on raising standards through collaboration and/or enforcement. The staff are currently being recruited. Matthew Smith said that it has not yet been possible to pilot the ‘Selective Licensing Scheme’ in any area of Birmingham. The scheme would force all prospective landlords (except supported housing providers) to apply for a licence, and make it easier to weed out bad practice; Handsworth Wood had been identified as a potential pilot area, but currently the initiative is bogged down in legal groundwork. On 1st October the rules on HMO licensing will change, meaning that properties of only 1 or 2 floors that meet the criteria (5 or more persons living as 2 or more households) will have to apply for a licence, whereas it used to be only if they were of 3 floors or more. If you have concerns about HMO’s, or other issues in the private rented sector, you can contact the Private Housing Team at prs@birmingham.gov.uk or on 0121 303 5070. 2. Crime and crime prevention: Sgt. Nick Simpson said that there had been a 2% overall rise in crime over the last 12 months. 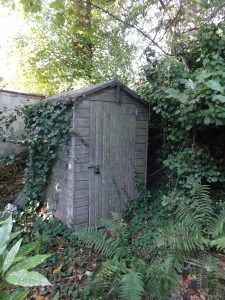 Burglaries mostly occured through the ‘snapping’ of locks on patio doors (everyone needs to ensure they have non- snapping locks fitted), and garden sheds containing expensive equipment but without locks have been a particular target. He said that important arrests re. vehicle and burglary thefts had helped contain the number of offences. 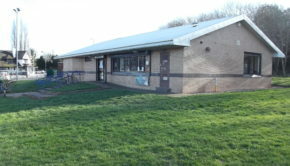 Following the successful closure of a supermarket on Villa Road which was a magnet for crime and anti-social behaviour, the Police are considering whether it would be possible to use the legal steps taken in this case when, for example, the landlord of an HMO is failing to meet their legal obligations. Sgt. Simpson was guarded and cautious on this, but there was just a hint of something which could prove useful in the future. Councillor Kooner forcefully raised the issue of the poor police response to burglaries – something which leaves residents feeling isolated, unsupported and distressed, and losing confidence in the police. There was no clear answer to this – other than the reduction in police numbers, and the need to focus attention on patterns of crime which gives a higher likelihood of catching offenders. If a burglar has gone, and there is no likelihood of forensic evidence, then other claims on police time are likely to take priority. ‘Patterns’ arose again in the discussion about drug dealing – it is the accumulation of intelligence over time which enables the police to see who is at the heart of a network, and to have maximum impact by removing them from the scene, so this activity may have to take precedence over response to individual situations. 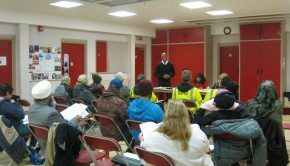 The police are keen to develop the Streetwatch volunteering initiative as a way of increasing the flow of intelligence, and so we can expect to hear more about this in the near future. A new initiative is called ‘Parksafe’. Volunteers will be trained to take the right sort of photos of obstructive parking (e.g. on the pavement leaving no room for a wheelchair or buggy to pass) and to submit these with a simple report so action can be taken against offenders. Assurances were given that in both this and the reporting of drugs offences care would be taken to protect the identity of those making reports. The first priority for training will be schools, but there will be information about other training by November. Sgt. 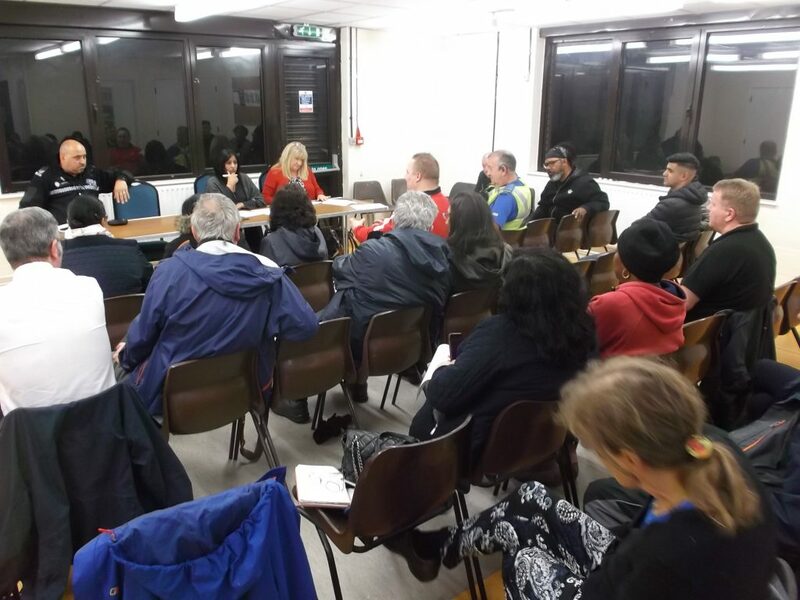 Simpson advised residents to report concerns, issues and intelligence to the local Neighbourhood Policing Team by email (handsworthwood@west-midlands.pnn.police.uk) rather than calling 101. This will help them to get a picture of what the major issues are locally and create pressure for them to respond. Photos and video of offences, suspicious or anti-social activity can also be sent – and again, care will be taken to ensure confidentiality. 3. Speeding and parking: there was a debate about the best ways to control speeding and problem parking. The ‘Parksafe’ scheme was referred to again, and also the potential to initiate volunteer ‘Speedwatch’ activity, where local residents would be trained to use equipment to capture speeding offences. Could there be a one-way system through Somerset, College and Cornwall Roads? Could there be official sanction for ‘half on/half off’ parking on Somerset Road to deal with the aggravation caused by the narrowness of the gap between the parking on both sides? 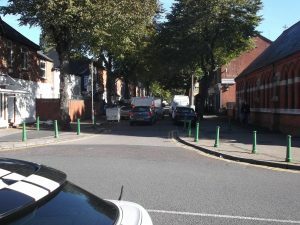 Could there be bollards to prevent obstructive parking on College Road? Would double yellow lines down one side of a road work? Will the police act if photos are taken of people parked on double yellow lines? What about traffic calming on Grestone Avenue, and what has happened to plans to protect grass verges? Also, what has happened to 20mph speed limits? Alan Woodcock from the City Engineers Dept. helped with this discussion. There is £13,500 for the ward to spend on these kinds of issues. 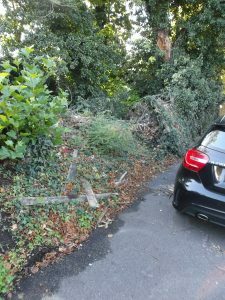 Because of the risk to life the traffic calming in Grestone Avenue is the highest priority, and this will cost £15,000 (‘hopefully we can find the extra money from somewhere’ said Alan). So there is nothing left for anything else. The process for sanctioning ‘half on/half off’ parking would cost £7,000 and then the cost of signs would be on top; establishing a one-way system would cost £27,0000; bollards would cost £150 each; the grass verge work can only be done if the traffic calming isn’t done – individual residents could pay £150 to get a ‘No parking on the grass sign’, but the bye-law enabling this to be enforced has expired. The police said parking on double yellow lines (as opposed to ‘causing an obstruction’) is a matter for traffic wardens. The one issue which remained unclear was whether the costs of 20mph limits came from a different budget, and whether there remained a commitment to extend these across the city. 4. Fire Service,Neighbourhood Tasking Group and Neighbourhood Plan: the Fire Service has had massive cuts, but the local service has managed to maintain the fastest response time in the country. There has been a reduction in the number of fires in our area in the last 12 months, but the fires have been more serious ones. The service is collaborating with other local agencies in the ‘Neighbourhood Tasking Group’ to address risky anti-social behaviour. They are responsible for fire risks in Council and Housing Association properties, but not private rented ones (these would come under Environmental Health). 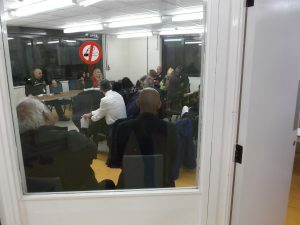 The Neighbourhood Tasking Group has little resident involvement, but is seen as the place where agencies decide how to deal with the kinds of issues which come up at ward meetings. There were questions raised about whether this was the right way to deal with things, and this linked to the hasty provision of information about the Council ‘Working Together’ consultation on forms of local governance which is about to close (28th Sept), and the need to develop a Neighbourhood Plan (there was no time left for this). 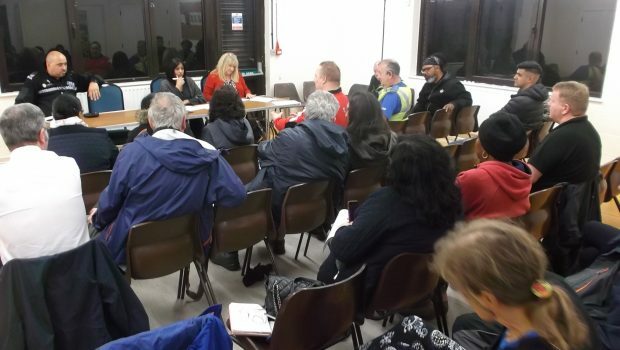 The quite detailed discussion at the last pre-election ward meeting about finding new ways to do things, making better use of local talent, and having a more strategic approach, didn’t carry over to this meeting. It remains to be seen whether there is the capacity or desire for local take over of Council responsibilities, and whether people see this as a way of achieving what is important to them.